First up on Head's Bookself, I take a brief look at The Fold by Peter Cline. The Fold tells the story about a man named Mike Erikson who has been asked by a friend to look at a door in California that allows travel thousands of mile in a single step. According to the scientists, it works perfectly, but if so, why are they hesitant to unveil it and how it works? That is what Mike is looking in to. 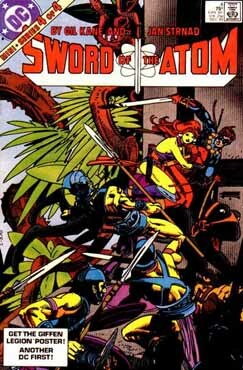 Then on "What's In Head's Longbox? 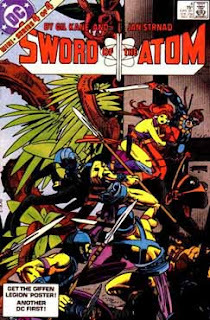 ", we're going to continue taking a look at The Sword of the Atom, with issue 4 the final issue. Then on "Where is Head Going? ", I talk briefly about another podcast I listen to. Tell Em Steve Dave. This is put on by a couple of friends of Kevin Smith and Q from Impractical Jokers. Caution, this podcast is NOT family friendly, but a good listen, nonetheless. Finally, our final song is "Hickey's on my neck " by Audio Two.